Rice prices have risen higher in Abuja, the country’s capital city, and its surrounding states, on the back of reduced importation, as well as lower domestic ou tput of the commodity, which has affected its supply in the market. Rice has become a major staple in Nigeria with the country ranking among the major importers in the world. business a.m. findings show that the prices of rice have escalated by no less than 30 percent in the last couple of months, a trend which the traders attribute to scarcity of the commodity as demand picks in the weeks leading up to yuletide and end of year festivities. 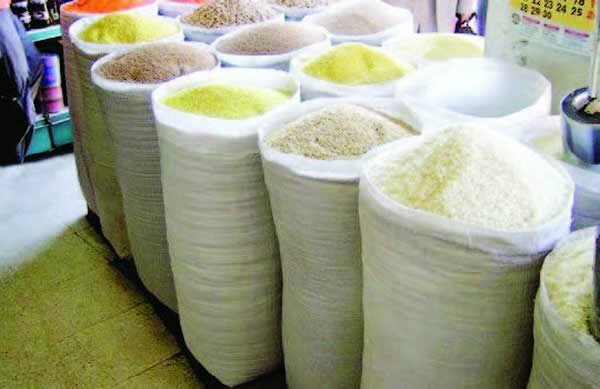 The local rice, which is fast gaining acceptability among the people, is worse hit by this price hike as a 50 kilogramme (kg) bag of the commodity, which had dropped to as low as N13,500 within the year on the back of higher output from the local producers, currently sells for between N17,500 and N19,000 depending on the type. Also, a 50kg of imported parboiled rice which initially sold for between N15,000 and N16,000 has risen to between N18, 000 and N19, 000, depending on the type and the area, indicating about 20 percent increase. This has not only resulted in panic buying and hoarding, it has also added to stress of the already distraught Nigerians, as the price is gradually taking the commodity beyond the reach of many. “The demand for rice is very high and we are not getting enough from the people who supply us. Like today, I wanted 20 bags of rice but I got only 15 bags,” a trader in Dei Dei, a suburb in Abuja told business a.m. Experts in the rice industry have attributed this to several factors: low productivity, which triggers scarcity in the market; ban on rice importation; unavailability of local rice as alternatives; and scarcity of paddy rice, as well as the high level of flooding experienced this year, which washed away many farmlands. Muhammed Augie, chairman, Rice Farmers Association of Nigeria (RIFAN), Kebbi State chapter noted that the inability of rice processors to get paddy is the major cause of the price increases as scarcity of paddy rice has hit the market. “This is a lean period where supply from the market is declining, due to the fact that harvest season is still far away, prompting current price hike,” he said. The Nigerian government said it has reported lower import bills for rice and other commodities this year. According to Godwin Emefiele, the governor of the central bank, the country has succeeded in reducing the importation of food items by 60 percent from 2015 to date. This reduction has affected five major food items –rice, wheat, sugar, tomatoes and milk. Also the Bank of Agriculture (BOA) said that Nigeria had saved $800 million from importation of rice alone. Figures from India and Thailand, (dominant rice exporters to Nigeria) indicate that as at September, Thailand had so far exported about 5,161 metric tonnes of rice to Nigeria, while India sold only 426 as at July, indicating lower levels of imports by Nigeria. To corroborate these positions, trade figures for the second quarter of 2018 as released by the National Bureau of Statistics (NBS) showed that total imports value was N2.10 billion, 16.3 percent lower than the first quarter, which was N2.51 billion and -19.9 percent lower than the first quarter of 2017 at N2.63 billion. Farmers in major rice producing precincts across the country have been devastated over the destruction of their investments by flood, which has resulted in further scarcity of the product. major staple foods especially with Christmas approaching.